There was a time, not so long ago, when people dressed up to go out. And not just to high falootin' social functions and society balls. Folks put on their finest finery just to go to the post office or grocery store or even just for a stroll (they called walks strolls then.) Gloves, gowns and parasols on women were the norm. Men wore suits, ties, vest and even hats. Yes, hats were an essential item to top off the perfect outfit. And back in this gloriously fashionable time Baron Hats was there providing the perfect head gear to a classy public. 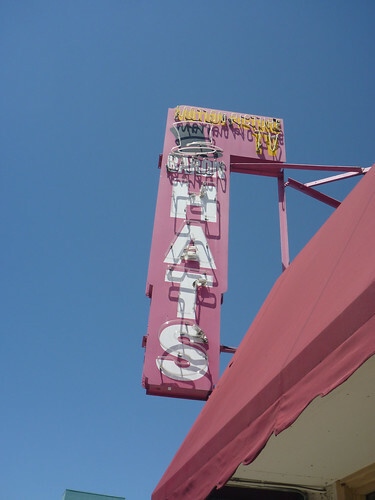 And lucky for us, some five plus decades later they are still in business. 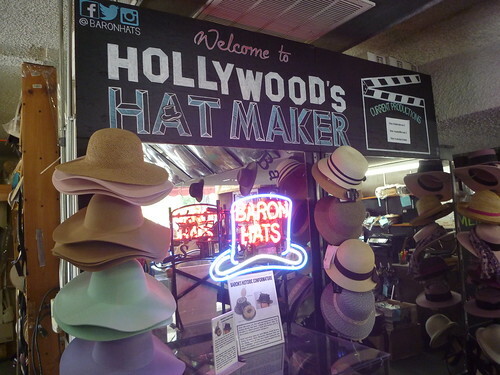 Started by Eddie Baron, a master hat maker, Baron Hats quickly went from a cute little local Haberdashery (fancy word for hat shop) to the “go to” place for Hollywood to fulfill their need for hats. Their most famous creations have to be Rocky Balboa's black pork pie from the first five “Rocky” movies and the dusty fedora worn by Harrison Ford as he played fortune hunter Indiana Jones in the “Raiders Of The Lost Ark” film series. Try to imagine both those film characters without their iconic headgear. I can't. When Eddie Baron retired, he handed down his skills and knowledge to his apprentice Mark Mejia, who has in the past three decades perfected the skill of making high quality hats to become the premiere hat maker in town. Each creation is hand-crafted on vintage machinery. 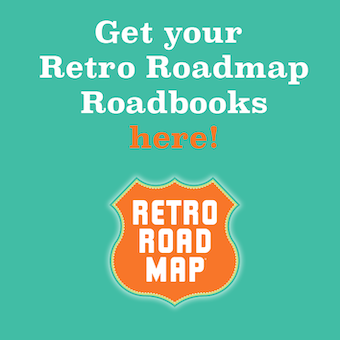 Some of which are almost nine decades old! They take an old school approach by taking the time to measure your head and create just the right look for you. 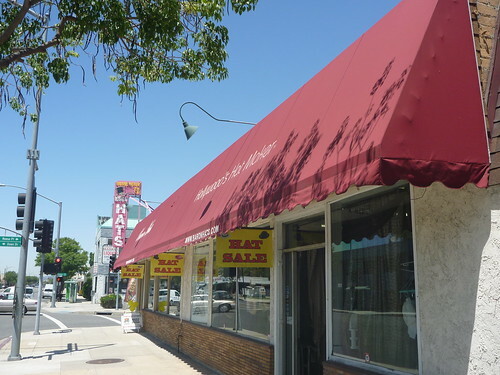 Baron's Hat is located on Burbank Blvd in Burbank, CA. 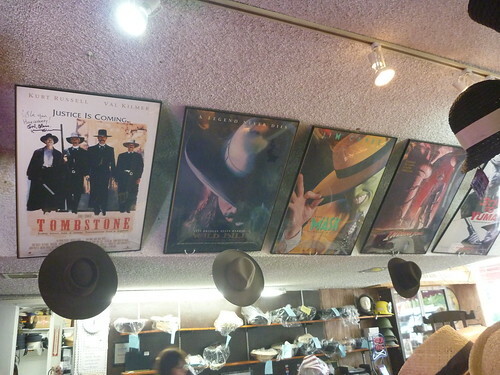 The small and unassuming hat shop is packed to the brim (get it?) 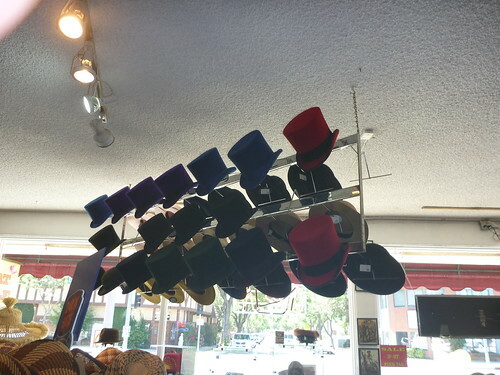 with every style of hat you can think of. And some you can't. Panamas, fedoras, straw hats, pork pies and even collapsible top hats. Baron has them all. For both men and women. The hats at Baron are not cheap. Running in prices from three hundred bucks to almost two grand. Quality costs. And the Hats at Baron are the highest quality possible.  Just ask celebrity clients like John Mayer, Britney Spears and Prince. Can't afford one of these pricey head pieces? No worries. 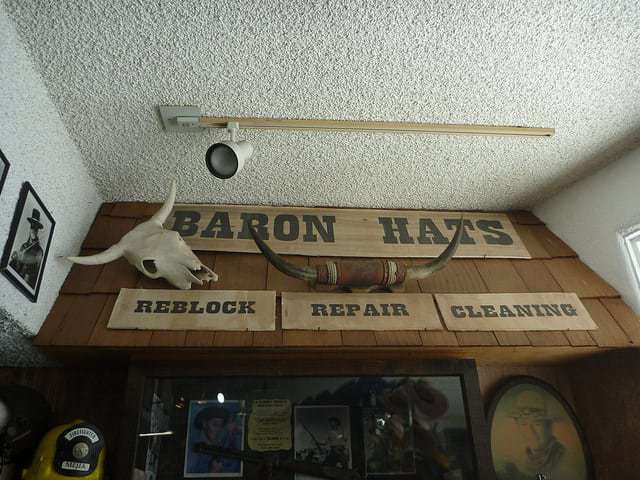 Baron Hats will also clean and repair any old hat you have. 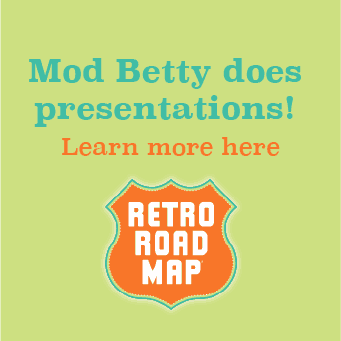 Time to break out grandpas dented pork pie and bring it back to life. For the perfect retro-rific hat, you gotta check out Baron a true old school joint full of style, taste and class.